← The Power of One – Superstars, can a team win without them? Football DNA – Can a Leopard change its spots? Is there a historically defined style that works for a country? It is an interesting thought. Let’s use the Italian Football team as an example. Apparently, during the 1950s and 1960s, their attack wasn’t that good and they focussed all their efforts on building an impenetrable defence. The style even had a name – Catenaccio – which means the door bolt. The style was the brainchild of Austrian Coach, Karl Rappan and arose in the 1930s, however, it was implemented by Argentinian coach Helenio Herrera (who was the coach of Inter Milan) in the 1960s. Because of the success of Inter Milan at the time, it was adopted by a number of other Italian clubs and the national side. It became synonymous with Italian Football. I’m not sure they use this style any more, but the residue of it has become a kind of “cultural residue”. Italian Football does what it has to do to win. That’s why they’re sometimes identified as dirty soccer players – they do what they have to do and fouling an attacker is just a part of the game. It’s a tactic. It is difficult to determine that this style of play is ethnically based anymore because some Italian Football clubs are very attacking and while it is true that there are players from other countries on these clubs, the structure and many of the players from these clubs are Italian. 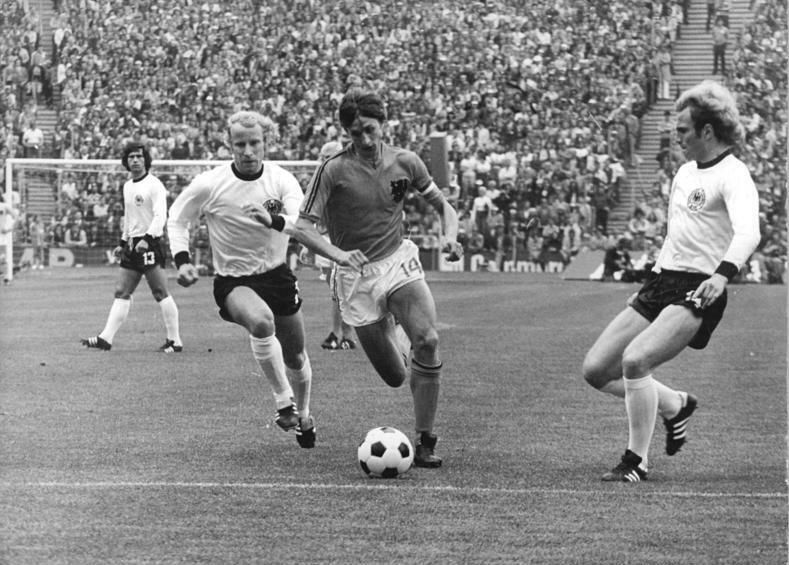 The diametrically opposed strategy which was employed by the Netherlands in the 1970s is called Total Football. It is an attack-oriented strategy where there are no defined positions. Everyone plays in attack and everyone plays in defence. One of its principal aims is to retain possession of the ball. Spain’s Tiki-taka style is the closest match in World Football today. The Netherlands were defeated by Tiki-taka in the 2010 World Cup final. Ironically, the Netherlands employed an ultra-defensive, high fouling, counter-attacking strategy more akin to Catenaccio then their traditional Total Football DNA. There are obviously other defined styles or structures employed by countries and clubs. Brazil has a very definitive attacking style. Greece has a very definitive defensive style. Sometimes when a particular coach is employed there is a slight variation to the cultural style played by a country or club but how often do they eventually revert to type, especially if the newly employed style doesn’t produce results. Historically defined styles aren’t limited to Football for that matter either. Think of a particular sport and you will often be able to identify a historically defined style and attribute certain characteristics to particular countries. Baseball in Japan as opposed to the U.S style of Baseball. Rugby League in Australia as opposed to Rugby League in New Zealand. Basketball in the U.S as opposed to the brand of Basketball played internationally. The U.S were famously exposed during the 2002 FIBA World Championships. That U.S side was missing many of its stars, however, up until that time it was unthinkable that a side from the United States containing NBA players could ever lose. The roster still consisted of the following players: Michael Finley, Baron Davis, Andre Miller, Jermaine O’Neal, Antonio Davis, Paul Pierce, Reggie Miller, Shawn Marion, Jason Williams, Ben Wallace, Elton Brand and Raef LaFrentz, so it definitely wasn’t a team of college players. Smarter people than me have broken down the reasons for the USA’s dismal showing at those Championships but it was at least due in part to the fundamental differences between the international and U.S styles at the time. I wonder if these things are more important in the minds of the supporters of a team or country than the players and coaches themselves who are often looking for the best strategy for winning, no matter what history says. Upsets galore last week in the NRL. Knights and Sharks off the canvas to win in massive boilovers. I don’t have any statistics on this but this season seems one of the most competitive ever with only 4 points separating 2nd to 12th. 3rd placed Penrith can only get odds of $21 to win the premiership while the 12th placed Eels are priced at $51.00 to win the whole thing. Tipping is a nightmare. The Cowboys away winning percentage has risen from 0% to 20% in 2 games. Poised to strike or false dawn? Fans of the Cowboys and Warriors will be well aware of this phenomenon. Comes with the territory. The Commonwealth Games. There are a lot of critics out there but I’m loving every minute of it. It is obviously the poor cousin of the Olympics and the Football World Cup but the flip side is that most of the countries involved are Australia’s traditional rivals anyway including New Zealand, England and South Africa. It doesn’t seem to bother us in Cricket that there are only Commonwealth nations involved. Ditto in Hockey, Netball, Rugby League and Rugby Union (albeit with the addition of Ireland, France and Argentina). In fact in Australian Rules it is a push to say there is any other nation involved. At any rate there is enough quality to keep me interested. If there was one criticism it would be that I think more sports should be welcomed. T20 cricket, Rugby League 9s, Futsal and Basketball are just a few. Having said that, it would be difficult to get countries to bring their best players (look at the Rugby 7s for an indication of how seriously it is viewed by the Rugby Union community). PNG Hunters seem to have recovered from their recent swoon to record back to back victories, their last start a resounding defeat of the Burleigh Bears. With 4 games to go they will have to dig deep if they are to make the final series. First season has been a massive success. Will it have a fairy tale ending? FFA Cup. I think cup Football is a fantastic idea and a great innovation for a number of reasons. Everyone loves a fairytale. Kudos to the FFA for thinking outside the box. I realise cup Football isn’t a new idea but implementing it in Australia is fairly novel. Brings something different to the table. Reminds me of the old AMCO/Panasonic Cup. Look for Australian Rules Football and Rugby League to follow suit if it succeeds. My tipping, 1/8, you’ve got to be kidding me. I’m definitely not tipping for Australia this year. I doubt I could even represent my street at the moment. Fascinating matchup to look forward to in the Super 15 final. 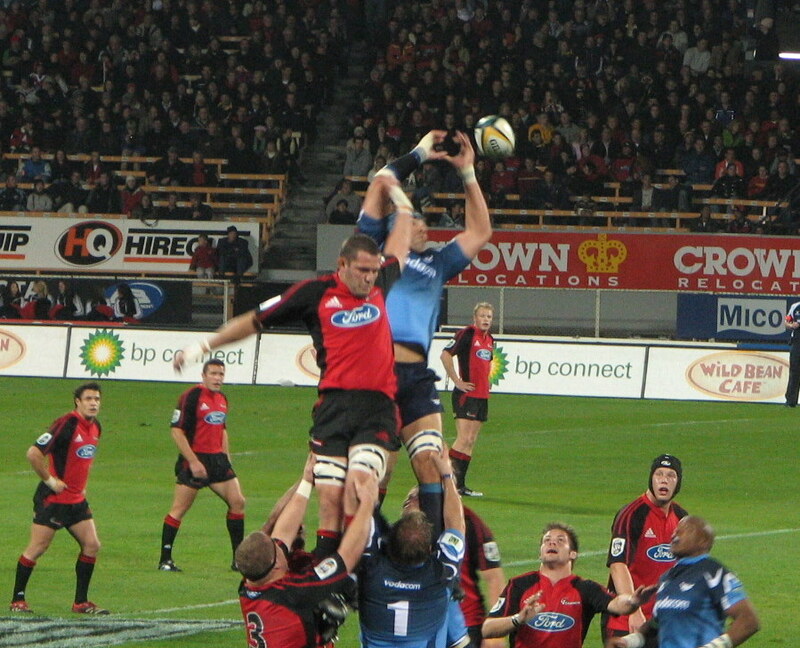 The all-conquering Waratahs vs their nemesis the Crusaders (made the final series 16 out of a possible 19 times for 7 titles, unbelievable). Chris Sandow 2.0 – Run Metres – 42m, Tries – 0, Try Assists – 3, Tackle Breaks – 1, Tackles – 13, Offloads – 1, Line Breaks – 0, Line Break Assists – 2, Errors – 0, Goals – 4/4 and Shoulder Charges that didn’t quite come off – 23. What other sports, teams and countries can you think of which have a particular inherent identity or style? This entry was tagged A League, Australia, Baseball, Basketball, FFA, FIFA, Football, NBA, NRL, PNG Hunters, Rugby League, Rugby Union, SANZAR, Soccer, State of Origin, World Cup. Bookmark the permalink.